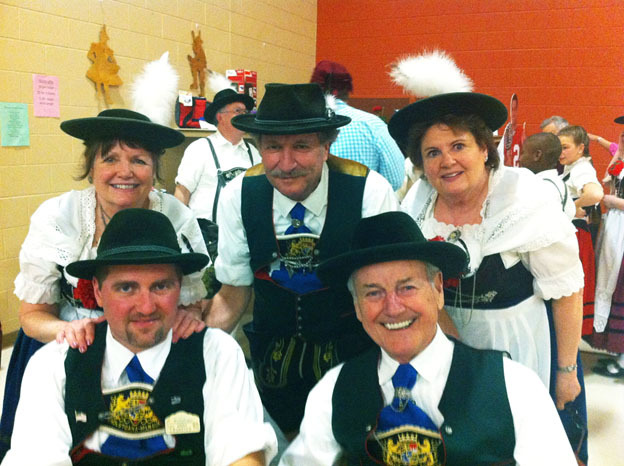 Organizations | German-American Societies of Milwaukee, Inc.
Also known as Klub Österreich–a group dedicated to enjoying, encouraging and preserving Austrian culture in southeastern Wisconsin. And tasty beer. The club originally started to support the Berlin culture and language. The language is unique to Berlin, the capital of Germany. Along with the language comes the culture and attitude of Berliners. For those reasons, the Berliner Bears started an effort to continue the Berliner language and culture. In the past, our meetings were heated with Berliner flare. Today, our meetings are still held in “Berliner” dialect; however, with coffee and cake after the meetings, they are now short and to the point. We meet every even month, second Sunday in the German Fest Office. A private, social association with several outdoor activities and residential cabins and facilities. 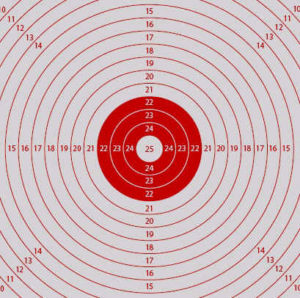 D. A. Schützen Club, Inc.
Free style shooting club using the German 25 ring target. The German American National Congress, Deutsch Amerikanischer National Kongress, commonly referred to as DANK, actively works to preserve German culture, heritage and language in the United States. It is our aim to inspire people with Germanic heritage and those interested in German cultures and language to recognize and celebrate the culture in a number of exciting ways. The Danube Cultural Jugendgruppe is for young adults ages 7 to 26 who wish to take part in their heritage through ethnic dancing. To promote an understanding of the German language and culture through an annual German essay contest and the AATG National German Exam. 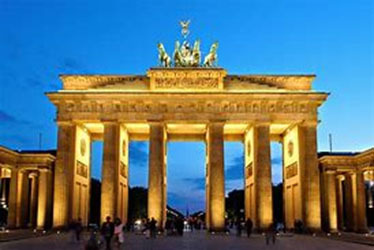 To encourage the study of the German language in high schools with study trip and cash awards. Provide information on career opportunities utilizing German language skills in various fields. 2nd and 4th Wednesday of each month at 7:00p.m. Bavarian dancing, singing and musical instruments are the heritage of the Wendlstoana. Tirolean folk costumes and traditions are also carried on. German Brass Band (blaskapelle), entertaining audiences with their authentic German style music. A Milwaukee tradition held annually on the Summerfest grounds, along the beautiful shoreline of Lake Michigan. 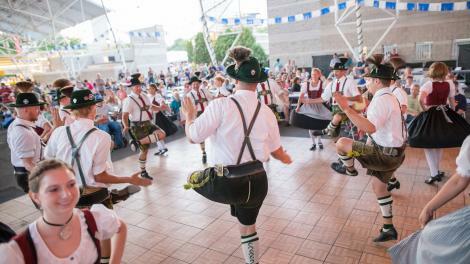 One of the largest German festivals in North America, German Fest Milwaukee is known for its authentic food, culture and entertainment. Gerrman Fest is held the last full weekend in July on Milwaukee’s Summerfest Grounds located on the lakefront east of the downtown area. 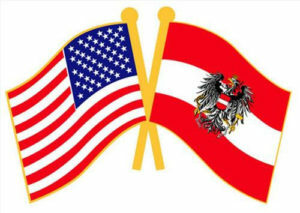 Our Mission Statement: The German-American Police Association of Greater Milwaukee is a social club that focuses on the celebration of German heritage among law enforcement officers, family and friends. The association has no affiliation or ties to any political organization. Its aims are to promote a positive view of law enforcement and strengthen the foundation of German history that has earned Milwaukee the title of “German Athens” of the United States. Our mission is to serve as a resource for information about the past and present culture of German-speaking people. 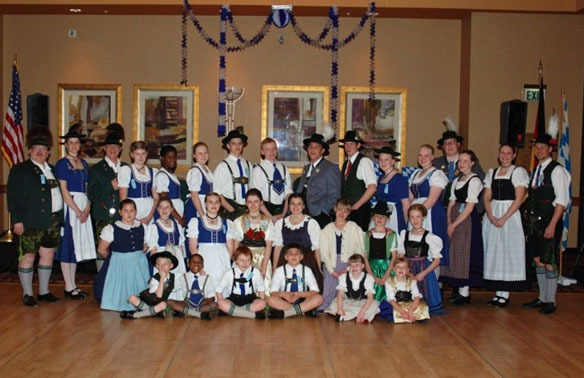 Through cultural and educational programs, Goethe House Wisconsin seeks to provide people of all ages with a greater awareness of evolving German societies and in doing, promote strong relations, friendships and understanding. The Hessischer Verein was founded to educate the public about Germans of Hessen descent in this frequently overlooked region of Germany. We are the Mardi Gras Society focused on a wider identity among everyone interested in the traditions of Karneval. We promote and participate in many events to preserve the heritage of our German culture through music, dance, food and song that defines Gemütlichkeit. Social club concentrating on the old Pomeranian area as well as the East Prussian (1940 and earlier) area. Maintain a school of German language in order to uphold and pass-on German language, traditions, customs, literature, art and music. Promote, develop and encourage good fellowship and social activities among our member societies. 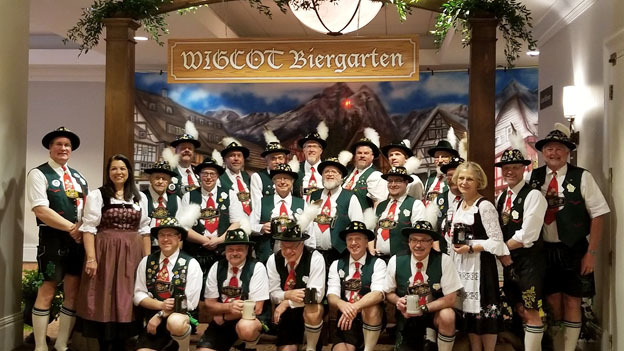 Bring together and strengthen German organizations throughout Wisconsin with common goals of preservation of German culture, language and education. Provide upstanding guidance and purpose to students of the German language and culture. Classes run from September through May and are held Satuday mornings from 8:15 AM to 10:15 AM. The Milwaukee Damenchor is a German-American Ladies Chorus. We sing German songs at several competitions and concerts throughout the year. Men’s Chorus specializing in German song, as well as, songs sung in English. Time/Days: Weekly—Thursdays at 7:00 p.m. 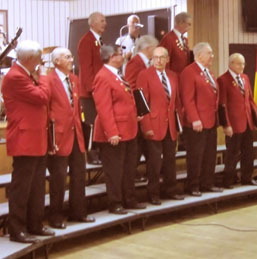 Besides an annual Spring Concert, the Liederkranz Chorus performs various concerts during the year for festivals, senior centers, weddings, as well as, performances at special civic events, such as the Christmas tree lighting in Brookfield, the Milwaukee Public Museum, the Lions Club national convention, the Mitchell Park Domes. The singers are also members of the Wisconsin District Combined Chorus and participate in the North American Singers Association National Singers Festival, and the Milwaukee German Fest Opening Ceremony and Sunday Church Service. The Milwaukee Liedertafel is an all men’s choral group, most members currently singing together with the Milwaukee Liederkranz. The Liedertafel, still an active fraternal group, became inactive as a singing group in 2016 due to declining singer participation. coaching and facilities to support our youth academy, select and adult soccer teams. The Turner motto, “Sound Mind in a Sound Body,” expresses their holistic vision for realizing human potential through the harmonious integration of intellectual and physical development. Mondays- 5:15 to 6 pm PreK Gymnastics; 6 pm to 7 pm Level 1 & 2 Gymnastics; Saturdays- 10 am to 11 am Level 1 Gymnastics Rock Climbing – Tuesday 5pm-10pm, Thursday 5pm-10pm, Friday 5pm-10pm, Saturday Noon-5pm and Sunday Noon-5pm. The Turners hold many classes and seminars throughout the year. 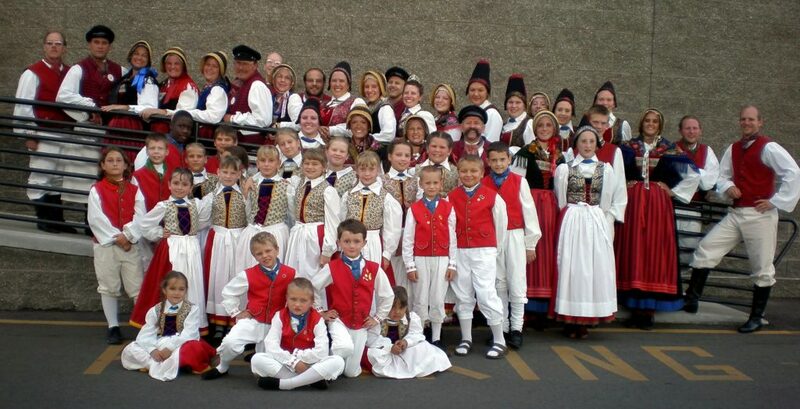 The Mullers purpose is to educate people in the United States of their Tyrolean (Austrian) folk customs. A colorful dance troupe preserving the traditional dance, music and heritage of Pomerania, a Germanic Province along the Baltic Sea. Curious? Then come and join us on a Tuesday for a “Get acquainted” session with any age group. 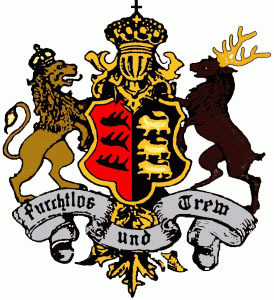 Pommerscher Verein Freistadt was founded to preserve our Pomeranian heritage through the study of its history, genealogy, culture and language. Friday evenings 8:00 to 10:00p.m. The society was founded over 135 years ago by immigrants from Schwaben located in Southwest Germany to provide financial support to other immigrants. Today it is primarily a benevolent social society. S.F.A.S. 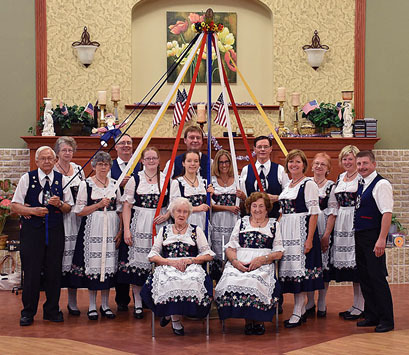 participates at German Fest in conjunction with the Schwaben Männerchor. Perpetuate and spread the culture of German song. Most classical and folk selections of various German songs are performed a capella. The Schwaben Männechor has joined forces with the Milwaukee D.A.N.K. Chor rehearsing and performing together for the benefit of both choirs. Thursdays, 7:00 – 8:30p.m. at the German Fest Office. The Spielmannszug Milwaukee Drum and Bugle Corps was founded by a group of dedicated people who wanted to maintain the German Culture and it’s Music here in the United States with Fanfaren, Fifes, Drums, Lyres, Hunting Horns and Cymbals. United Donauschwaben of Milwaukee is to keep the Donauschwaben heritage alive while promoting the language, foods and customs to the public at large. Kindergruppe – Tuesdays @ 6:15pm | Spaß Milwaukee – Events throughout the year. Thursday classes held 9:00a.m. to 2:30p.m. 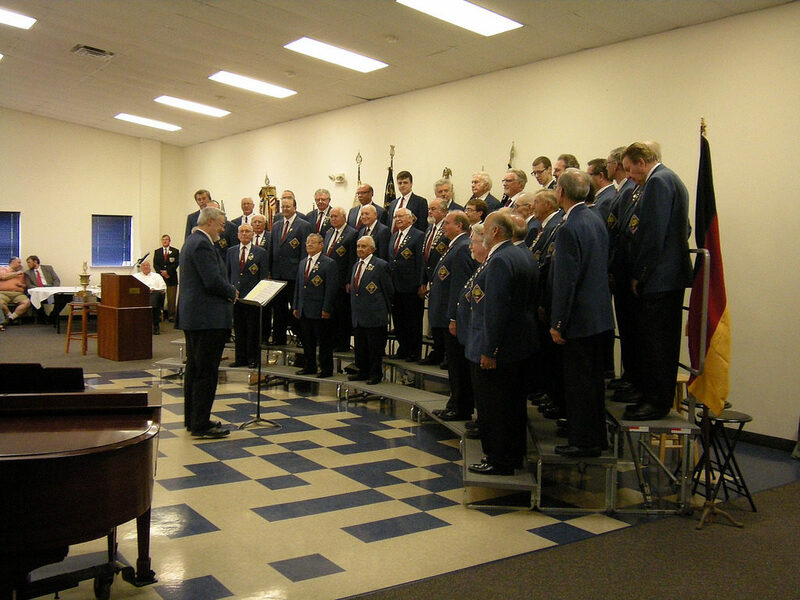 Wisconsin Singers District is the umbrella organization consisting of nine German-American Choruses in southeast Wisconsin. The Wisconsin Sängerbezirk is a member of the Nord-Amerikanischer Sängerbund (NASB), which consists of over sixty German-American choruses in the United States. The Wisconsin District Gemischter Chor is made up of singers from all member district choruses and participates in the NASB National Sängerfest, which is held every three years. The District Gemischter Chor also performs at the Milwaukee German Fest Opening Ceremony and Sunday morning church service each year. 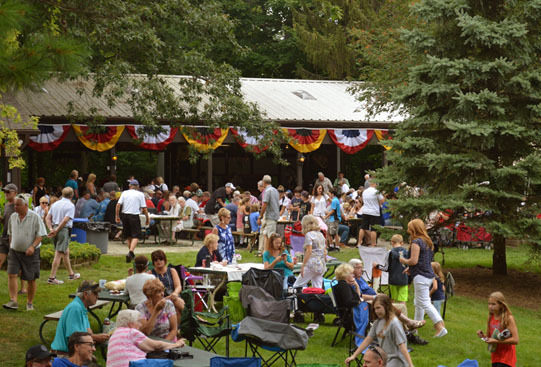 The Sängerbezirk conducts a Wisconsin Sängerfest annually, with the exception of National Sängerfest years, where the participating choruses perform individually and then gather to form the district chorus to perform the final set of the main concert. The Sängerbezirk also hold an annual singing competition referred to as the Sängerkommers. The competition is judged by professional music educators and the first place chorus takes home the coveted traveling trophy.